Go on… turn it up! 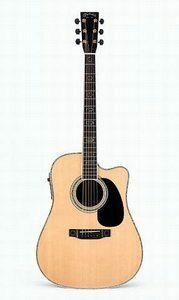 The steel-string version of the SST, this solidbody acoustic electric has computer-designed body cavities to ensure natural tone, while the Shadow preamp and Nanoflex pickup allow acoustic guitarists to play at high volume with no feedback. An eminently pickable and sweet-sounding 6-string, the Epiphone SST Studio Limited Edition Acoustic Electric Guitar was built for stage and studio performance with no miking or feedback problems. 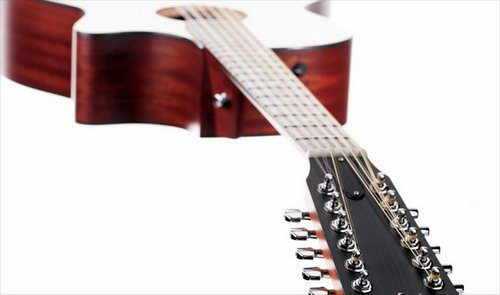 A cutaway to the 19th fret gives you more neck access than any other acoustic. The piezo pickup has active electronics with tone control. Gold hardware, top binding, and a unique bridge design provide great looks. Alvarez added a number of great new Alvarez and Alvarez-Yairi guitars to our lineup at the 2007 Winter NAMM Show in Anaheim, CA, in January, including: MD5000, MD1000, MD1000C, MF1000, MF1000C, MC1000, MF350, MF350C, MF60C, AF62SC, RD6, FYM96C, JYM86, JYM86C TS, and WY1M. Check them out! gorgeous tone and premium woods for a very reasonable price. Meticulously designed to provide comfortable, easy playing for all styles, the C104SCE now comes standard with the B-Band™ A3 preamp. Featuring a solid cedar top and rosewood sides and back, the C104SCE has a rich, distinctive full-bodied tone. Washburn craftsmanship makes this cutaway model a favorite of classical artists, novice and expert alike. plugged or unplugged, you’ll make your mark with the D10SCE. The Washburn D10SCELH Left-Handed Acoustic Electric Guitar gives you the same fine craftsmanship and tonewoods as the Washburn D10S – a spruce top; mahogany back, sides, and neck; and a rosewood fingerboard. With increased playability from its deep cutaway and an Equis Silver preamp for plugging in and fine-tuning your electric sound. 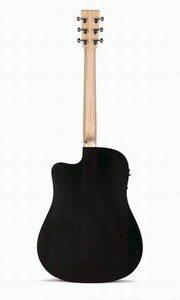 The D10SCELH is a truly professional guitar at an affordable price. Limited lifetime warranty. plugged or unplugged, you’ll make your mark with the D10SCEB. The Washburn D10SCEB Acoustic Electric Guitar gives you the same fine craftsmanship and tonewoods as the Washburn D10S – a spruce top; mahogany back, sides, and neck; and a rosewood fingerboard. With increased playability from its deep cutaway and with the addition of the WT-82 tuner/preamp system, we created a truly professional guitar at an affordable price. Limited lifetime warranty. The Washburn D10SCE Acoustic Electric Guitar gives you the same fine craftsmanship and tonewoods as the Washburn D10S – a spruce top; mahogany back, sides, and neck; and a rosewood fingerboard. With increased playability from its deep cutaway and with the addition of the WT-82 tuner/preamp system, we created a truly professional guitar at an affordable price. The Washburn D10SCE comes with a limited lifetime warranty. Also available in left-handed & black versions. it can sound high and sweet, or drop right down and emanate deep power-chord bass – great for acoustic leads. it can sound high and sweet, or drop right down and emanate deep power-chord bass. stage and studio friendly, sounds like a 1k-2k guitar. the non gloss finish makes it look very natural. projects the true sound of the guitar as captured by high-end condenser microphones in a premium studio. A special dreadnought model fitted with deluxe electronics for stunning acoustic-electric tone no matter the circumstances. The Martin DC-Aura Cutaway has a solid Sitka spruce top, solid Indian rosewood back and sides, mahogany neck with modified low oval shape, and special pearl hexagon outline inlays on the ebony fretboard and bridge. 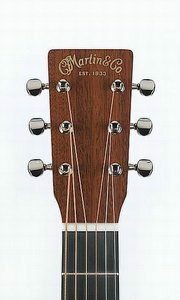 Other special Martin touches include a mother-of-pearl logo, ebony bridge and end pins with abalone dots, and gold tuners with ebony buttons. This Martin DC-Aura Cutaway special edition of the Fishman Aura Acoustic Imaging Blender provides onboard access to studio-quality sounds live. The Aura does not change your guitar tone, but accentuates it to project the true sound of the guitar as captured by high-end condenser microphones in a premium studio. 6 customized Sound Images, derived from actual studio recordings of the DC can be blended with the resonant output of the Martin Gold+Plus Natural pickup signal for previously unattainable hi-fidelity reproduction of the world-renowned Martin acoustic tone. Other electronic features include a fully programmable digital EQ, feedback control, and a chromatic tuner.